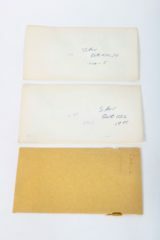 This is three envelopes, two white (2018.ast.94.1 & 2), one yellow (2018.ast94.3), containing glass slides of images of celestial objects. 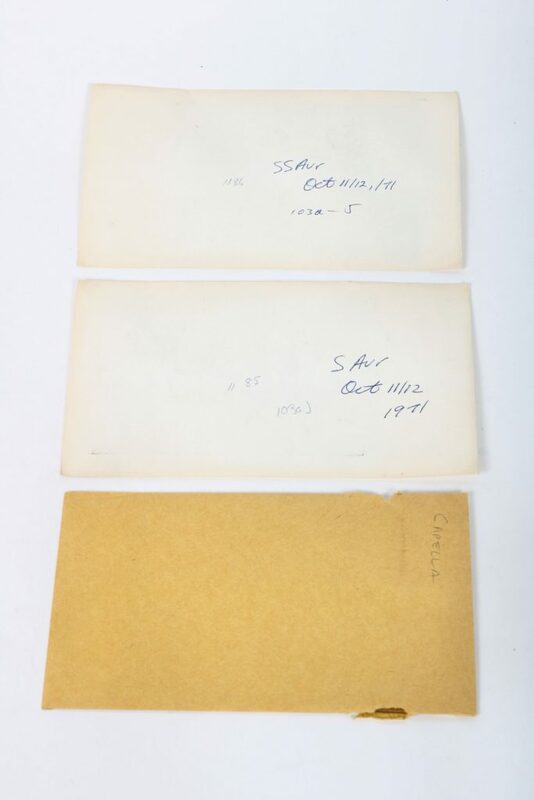 Two of these envelopes, labelled “SSaur” and “Saur”, are sealed. The third, labelled “Capella”, is open. The slide in this enveloped depicts a star, Capella. 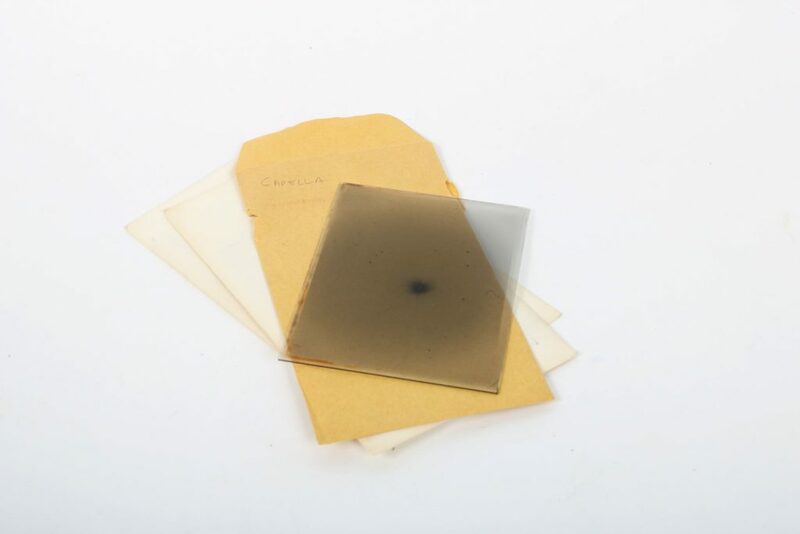 These slides display celestial objects for teaching or research purposes. 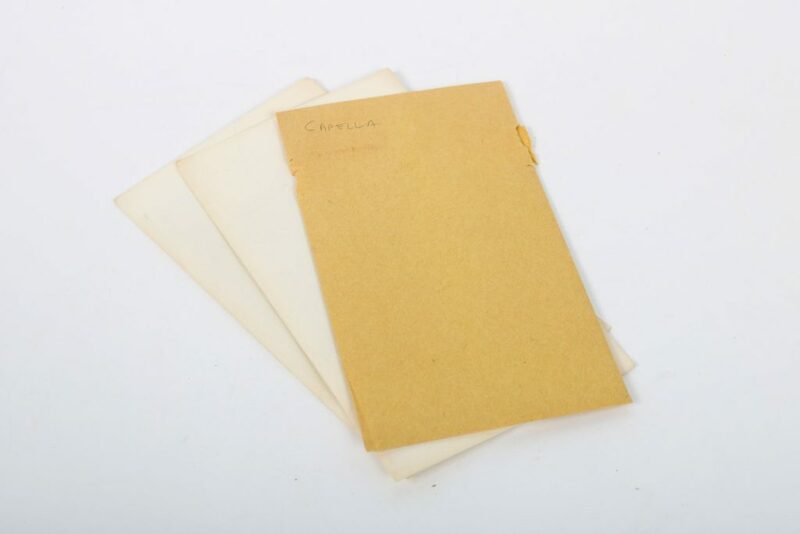 Very Good: The white envelopes are sealed and the condition of the slides inside unknown, the white envelopes are yellowed and worn around the edges and corners. The yellow envelope is torn towards the open end, where the corners of the slide has slid against the envelope when being removed. One corner of the envelope is bent. These slides were likely moved from the David Dunlap Observatory in Richmond Hill in 2008, upon the sale of the observatory. 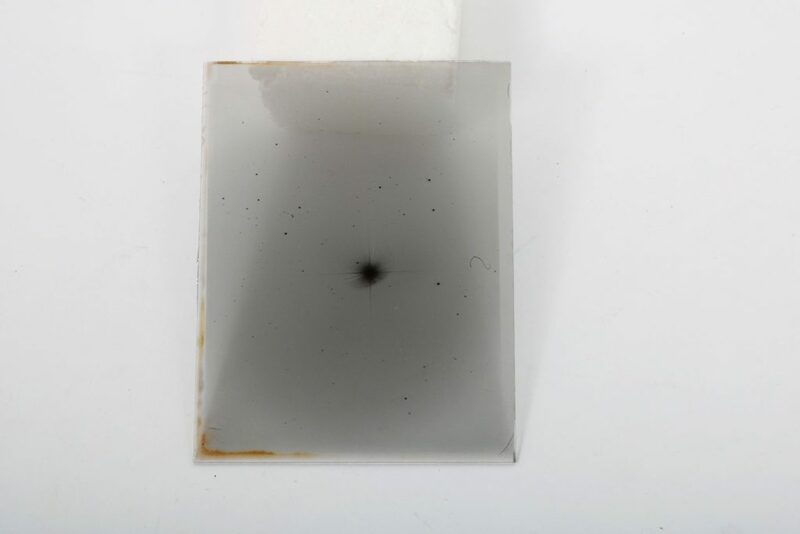 It was stored at the Department of Astronomy and Astrophysics until 2017, when it was moved to a new storage location in McLennan Physical Laboratories.